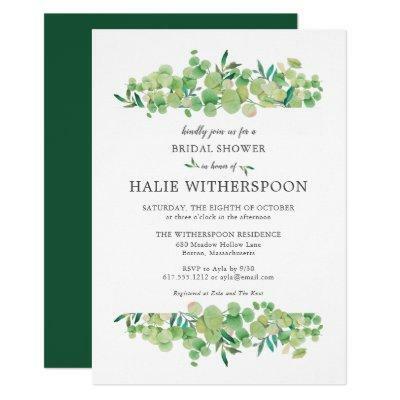 Elegant wedding bridal shower features eucalyptus foliage with the shower information. To see other products matching this design, type "ef" in the search bar. Email me @ if you need assistance or have any special requests.